Farmhouse breakfasts using all local produce including our own free-range eggs, comfortable accommodation, a warm welcome and stunning views of the countryside are our recipe for a relaxing stay. 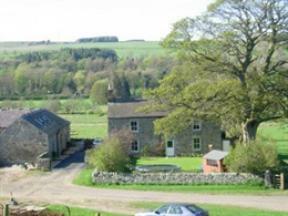 Situated in Northumberland's wonderful countryside, some rooms at this 4 star B&B overlook the South Tyne. Guests can unwind and enjoy the local area in a home from home environment.